What is the Harrisonburg Citizen Academy? The Harrisonburg Citizen Academy is a 12 week program that allows city residents to learn more about the functions of city departments and services. The Academy is held in fall. Sessions last two hours, beginning at 6:00pm and ending at 8:00pm. Sessions occasionally run over, participants are encouraged to decide whether they are able to stay for that additional time. One Saturday facilities tour is included. The tour is optional and includes a complimentary lunch. How Do I Apply for the Citizen Academy? The Academy is open to all Harrisonburg City residents 18 years of age or older. How Big are Academy Classes? Due to space restrictions, class size is limited to 15. Valid applications that are received after a class is full will be saved until the next Academy. Applicants who have had applications carried over will be contacted prior to applications becoming available and given the chance to enroll. What is the Attendance Requirement and Why is There an Attendance Requirement? Participants in the academy must attend 9 of the 12 regular sessions (the optional tour is not included in this figure) to receive a certificate. We recognize that our participants may experience conflicts over the course of the Academy program. However, the city staff works very hard to make sure that participants get a comprehensive picture of the City. If more than three sessions are missed, this picture is not complete. Extenuating and unexpected circumstances will be taken into account as necessary. We ask our participants to remember that city staff are also making time in their schedules to be available and participate in this program, in many cases without compensation. If your schedule will not allow you to attend at least 9 of the 12 regular sessions, we would ask that you delay your application to a year which will work better for you. Can I Attend the Academy If I Live in Another City/County? Not at this time. 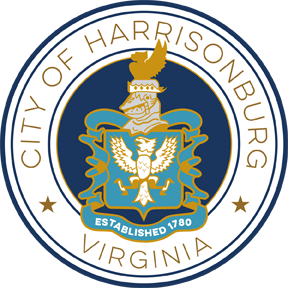 Many of the services provided by the City of Harrisonburg differ from the services provided by our counterparts in the nearby counties. Shouldn't I Be Allowed to Attend If I Own a Business/Work/Go to School/Spend a Lot of Time in the City? In the future, we may consider expanding the program to have mini sessions geared toward those people who use the City but do not live within the city limits. If that would interest you, please let Ande Banks in the City Manager's Office know. Ande Banks can be contacted by email at Ande.Banks@harrisonburgva.gov or by phone at 540-432-7701. How is the Harrisonburg Citizen Academy Different From the Harrisonburg Citizen's Police Academy? The City has excellent Citizen Police Academy that is open to all area residents and held in the spring. That program details the activities of the Police Department. The Harrisonburg Citizen Academy covers all city departments and services as opposed to just the Police Department. The programs compliment each other and the City encourages you to participate in both. Why Should I Give Up My Time for the Citizen Academy? What's in It for Me? Different people have different reasons for participating. While our citizens use city services every day, they very rarely see what happens "behind the scenes" or have access to information regarding why and how things happen. The Academy is a great way to find out more about how the City of Harrisonburg is working for you. Additionally, citizens who are considering or who may consider applying for an appointment to one of our many boards and commissions or even a future run for City Council will gain insight into our departments and functions. The City of Harrisonburg encourages all of its citizens to be engaged in the process of government. Oftentimes, the structure of local government is not as clear as we would hope. The Academy offers Harrisonburg residents a chance to take another look at their City. How Much Does the Citizen Academy Cost? The Academy is free to any city resident 18 years of age or older. The only cost to you is two hours a week. Who Decides Who Gets to Enroll in the Citizen Academy? Applications are accepted, and enrollment is granted, on a first come first served basis. Applications from members of the public who do not reside within the Harrisonburg City limits are not considered. The decision of the program administrator on all applications is final. What Does the Public Information Officer (PIO) Do? The Public Information Officer (PIO) is responsible for media and community relations for the City of Harrisonburg. The PIO is available to all citizens who may have questions or concerns about a situation in the City.